Are you ready for the EU’s General Data Protection Regulation? 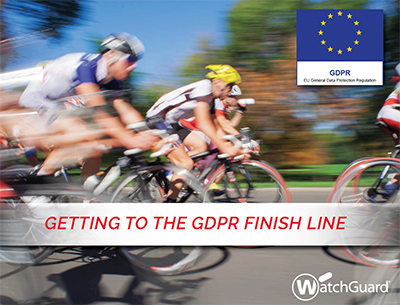 Companies just like yours are now racing to achieve GDPR compliance before it becomes effective on May 25, 2018, or face the possibility of huge fines and potential lawsuits. In order to meet the compliance equirements of GDPR you will need to change some existing company practises and policies in order to comply with new data security standards. Uniquely architected to be the industry’s smartest, fastest and most effective network security products,WatchGuard’s Total Security solutions deliver enterprise-grade security and threat visibility tools suitable for supporting your GDPR compliance initiative, regardless of budget, size, or complexity. Contact us today at 01753 887161 to find out more about WatchGuard’s security solutions. This eBook shares key information on GDPR and offers solutions to guide your compliance initiative and improve your data security. Get your copy to see what you need to change within your network and how WatchGuard could help.